Most of the population here wants to settle in abroad. They dream about moving to countries and building their future with their families. However, these dreams can be fulfilled only when you choose countries which help them to grow. In this case, Canada is the most appropriate option. 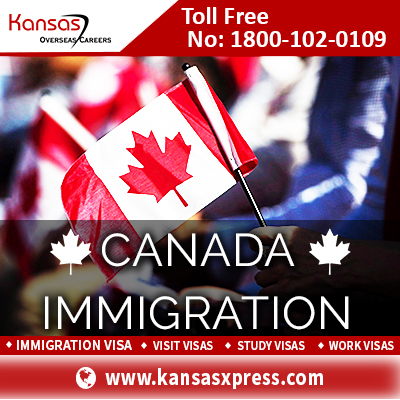 Canada invites people to apply for Canada PR Visa and give them a chance to settle there. Not only has the opportunity to apply for PR Visa but also looked at faster and smoother transition. The PR Visas are offered to the applicants considering certain factors that they have to fulfill according to the immigration requirements. The factors such as Age, Work experience, Educational background, their dependent’s skills are considered and points are scored based on these. Hence for the faster and smooth transition of the Visa process here are few tips that are to be followed. You will have to know the right time to apply for the PR Visa as it plays a vital role in the immigration process. Timing effects the application process at times in the below mentioned circumstances. Age: The younger you are, the better are the options for a successful visa transition. The reason behind it is that Canada is looking for professionals who are young and whose age is between 18-25 years. You will have to be in the preferred age range designed by the Canadian Government. Season: In this context, season means the peak months to apply for Visa. Watch out for intake periods: When it comes to state /PNP nomination applications, each country have their own intake period where if the applicant is ready with their nomination applications then the process flow becomes quicker and chances are high for quick Visa too. Canada immigration and selection procedure is based on points based system. Depends on how well a candidate can score his CRS, the probability of success rate of issuing of PR Visa is higher. The below are few ways in which you can enhance your points. Qualified candidate: Always the countries prefer qualified candidates. The higher the qualification the better is the chances to increase your CRS score. Even the dependent’s certification or diploma enhances the application to move to the selection process even faster. Experienced Applicants: Always look into your work experience when applying for PR Visa because Canada prefers experienced candidates to come and work for them. Since the point based system also calculates points in this field, having plenty of work experience really helps in faster Visa processing. IELTS Practice: Candidates must excel in their communication skills to apply for Visa because this is also considered in scoring CRS points. Scoring in IELTS is mandatory to prove your English speaking and communication skills. If you fail to provide necessary IELTS score to pass the CRS, then taking another attempt helps along with a coaching taken in professional centers. Skilled Partner/Dependent: The skills of your dependent/spouse or a common-law partner help you a lot in the CRS scoring. The reason is that your dependent’s skills are also considered and extra points are given to the applicant which can improve the CRS score. State/Province Nomination: The most added advantage for the applicants with poor CRS scores is the state/province nomination. Applicants can gain extra points in this circumstance which again completely depends on their skills. Even after you fail to fetch the desired score to speed up your process, it means that somewhere something is lacking which can only be identified by an expert or a professional in these matters. First thing is to get in touch with them and take their guidance to improve the matters where you might be lacking. Immigration experts have up to date information and have years of experience in handling Visa cases. Seeking their opinion and guidance can help in scoring good CRS score which can bring you quicker success. We have excellent professionals who hold a vast expertise in handling sensitive visa cases of all types. They will be more than happy to help you in the process of immigration to Canada. We analyze your profile and based on the successful results, guide you to proceed with the best visa option. In a nutshell, our experts guide you in every aspect- legally, authentically and in the most pocket-friendly way. If you are looking for settling into your dream destination, then we suggest you walk up to us in any of our nearest branches in your location or call 1800-102-0109 for detailed information.